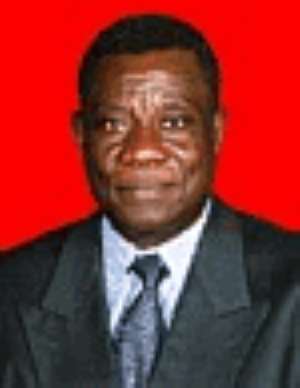 The flagbearer of the National Democratic Congress, Prof. J. E. A. Mills, has said that he would not hesitate to consult, Mr. Kufuor, to discuss important national issues because he is of the view that Mr. Kufuor, notwithstanding the abysmal performance of his government, might have acquired some experience or expertise that could be invaluable. Speaking in an exclusive interview with The Lens, Prof. Mills said, "I believe in consultation and consensus building and I would not hesitate to consult President Kufuor, whenever I feel that his insight would be helpful. Much the same way as I would consult President Rawlings whenever I believe that his insight might be helpful." Prof. Mills said, "I believe that nobody is all-bad, and Mr. Kufuor, notwithstanding the abysmal performance of his government, must have acquired some experience and insight that would make consulting him worthwhile. I know I have been lambasted and castigated for saying that I would consult President Rawlings."